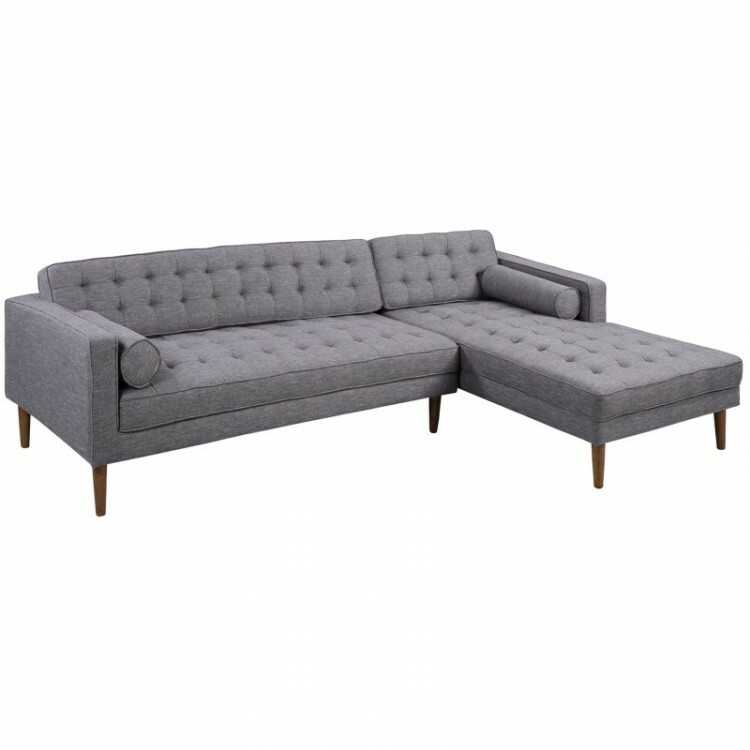 Description: Ample room, living space worthy, in mid-century modern style revisited and just smoking cool is all the makings of our Armen Living Modern Element Sectional Chaise. 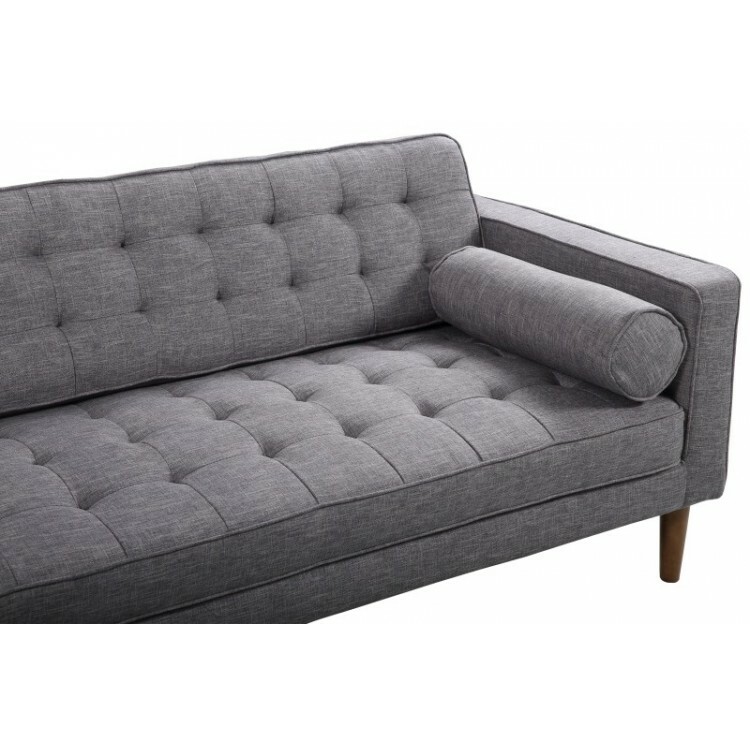 This right-hand-facing sectional chaise, has all the room you'll need for seating in your modern loft, apartment or family home. 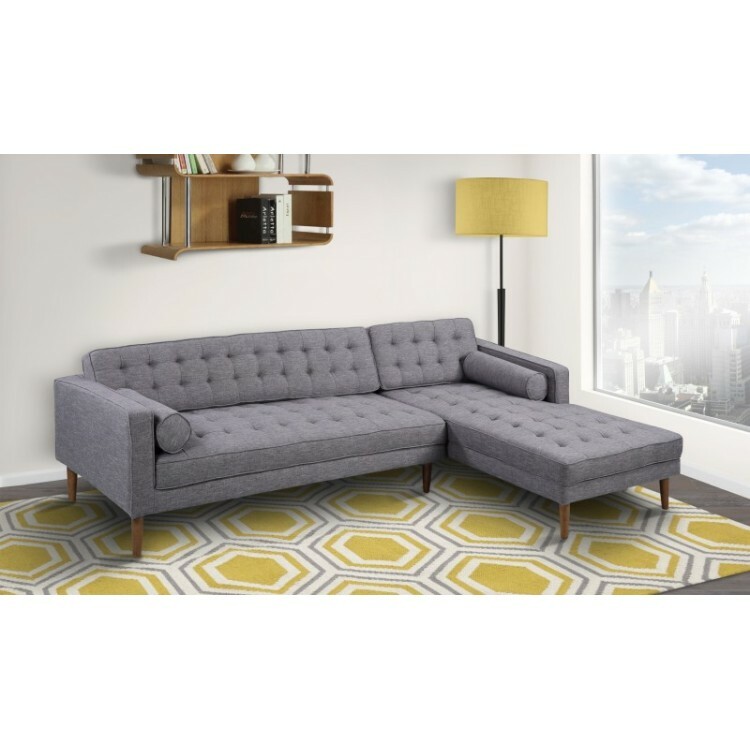 It is a regal sectional that includes a chaise for stretch out on after a long day at work, or lounging or spirited discussions with your guests. 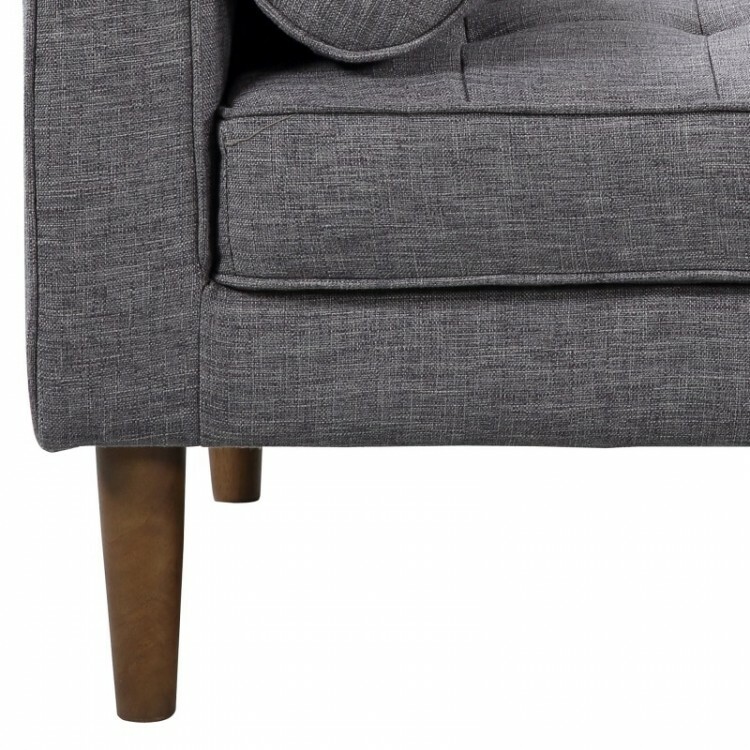 Eye catchy button-tufting that makes it appealing on a Dark Gray linen fabric upholstery and straight and sleek walnut colored wood legs. It includes bolster pillows on each end of the sectional. The gentle sloping curves and large dual cushions create a favorite spot in your contemporary home. Pick your preference of a left-facing or right-facing chaise.